What??? I couldn’t believe what I was hearing. After my plot to not have him know the second green ingredient failed, thanks to the 4 year old, I knew he wouldn’t like it. (He has a mental thing when it comes to foods he doesn’t like). That he’d willingly eat them – shocked me! 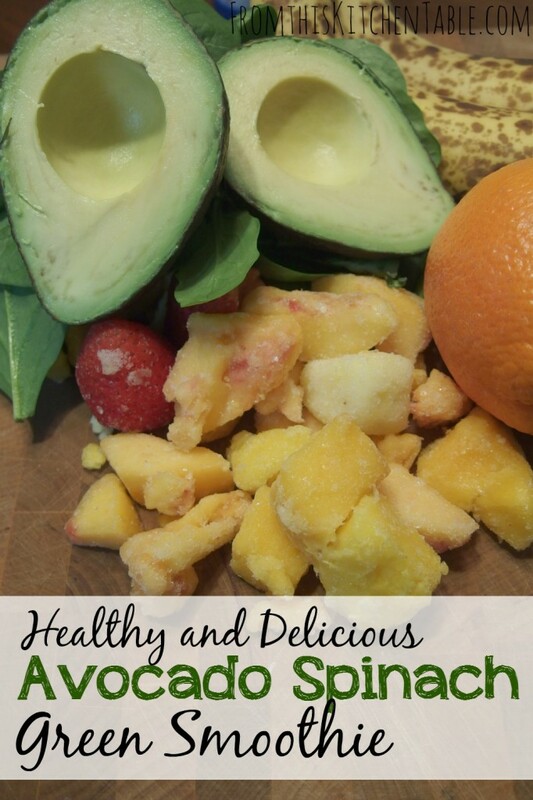 So, green smoothies are one of those controversial foods in the health world thanks to the oxalates in the raw spinach. I figure that since we don’t have these everyday – mainly just once or twice a week, I’m not going to worry about it too much. My bigger concern with smoothies is the amount of fruit (and their sugars) that can be ingested when you eat them. 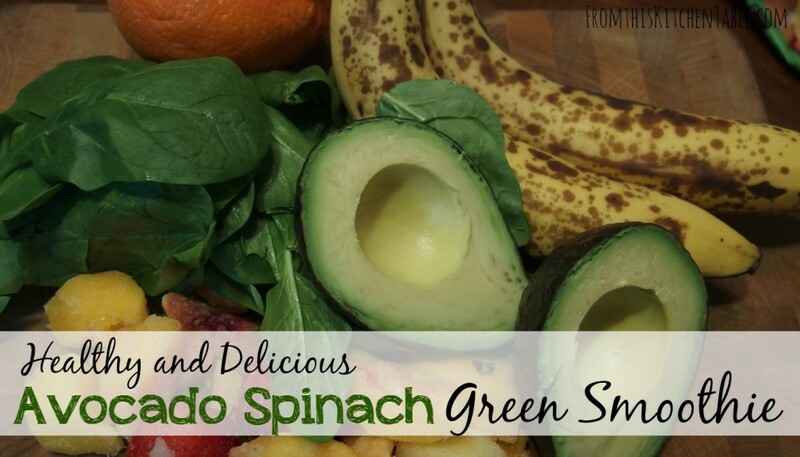 The added spinach and healthy fat from the avocado makes it all seem a little more balanced. Cutting down on time in the kitchen is big in my house. So, when I make smoothies,I always make an entire blender full. I take the extras and put it into serving size cups and stick in the freezer. It becomes the easiest breakfast ever later in the week. You can set the cup in the fridge the night before or set out first thing in the morning and you can eat with a spoon in an hour or two. The order you put this in the blender and mixing it in stages is important for smoothness. I suppose if you have a Vitamix or Blendtec (dream appliance someday), it wouldn’t be an issue. But for the rest of us. . . My current blender is a Ninja Prep and using this blending method, we come out with a nice and smooth drink. P.S. Feel free to use yogurt for part of the liquid as well. If I have it made up, I’ll add some in. This homemade yogurt is easy and budget friendly! The majority of the time I simply use water. P.P.S This smoothie isn’t super sweet, if you need to add a touch of honey or maple syrup to it and you can gradually wean your family off of it. 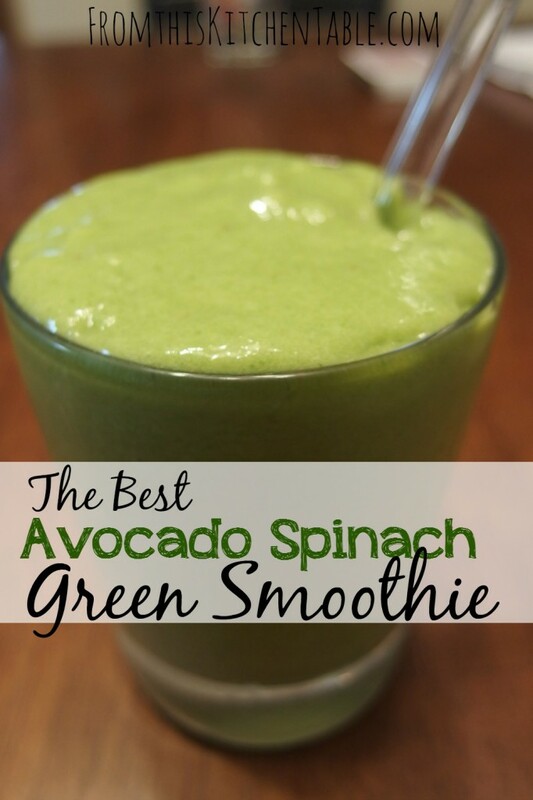 Put spinach in the blender and add 1 cup of water. Blend well! Add avocado. Blend until smooth. 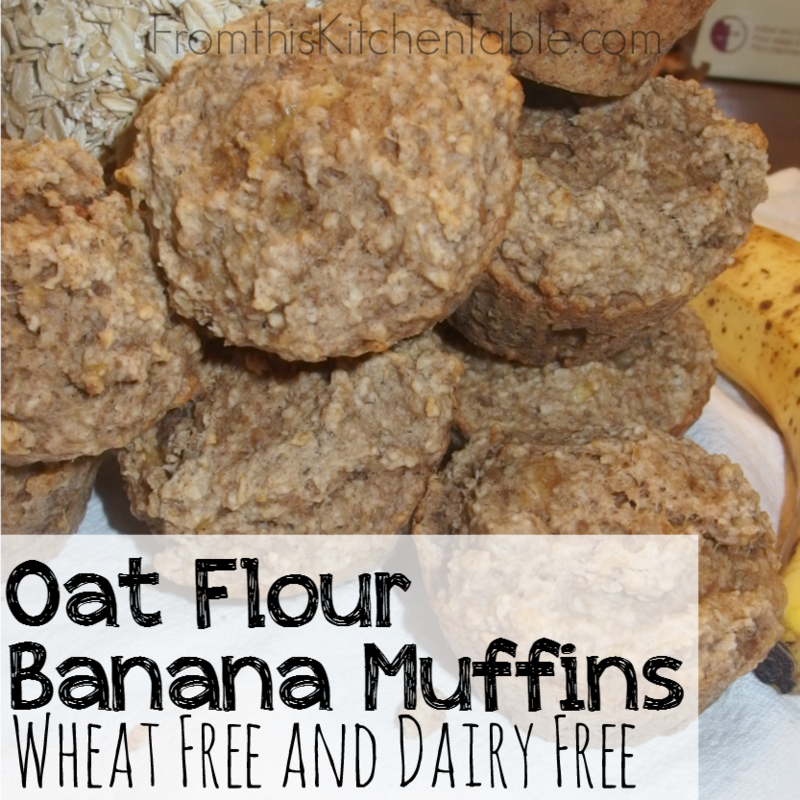 Add frozen fruit, bananas, orange, vanilla, and additional cup of water or milk. Add ice cubes and chia seeds if you are using and blend until smooth. Pour into glasses and enjoy. Linking up to these fun parties! 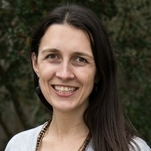 This entry was posted in Food on February 27, 2015 by Deanna Michaels. Yes it does! I love the color too. Green smoothies are so pretty! While I don’t think I could get my husband to eat it (he also hates avocado!) I can’t wait to try this for me! And I know at least my 2 year old will drink it too – strangely enough, green smoothies are his favorite. 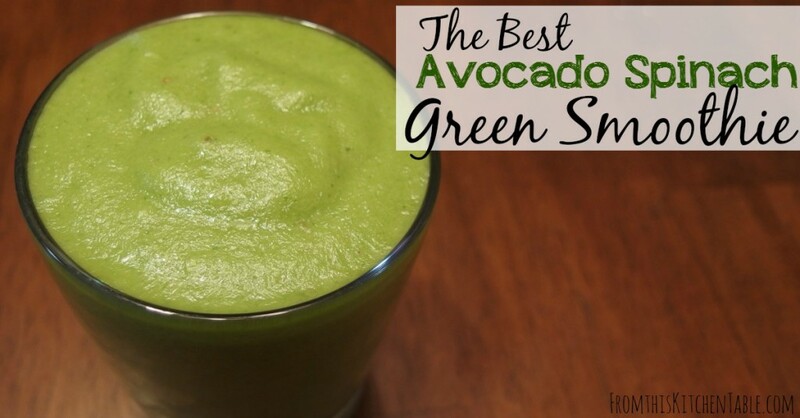 I’ve never used avocados in a smoothie – mostly because my kids eat them before I get to them. But this looks amazing! Thanks for sharing with Waste not Want Not Wednesday! He he. I hear you! 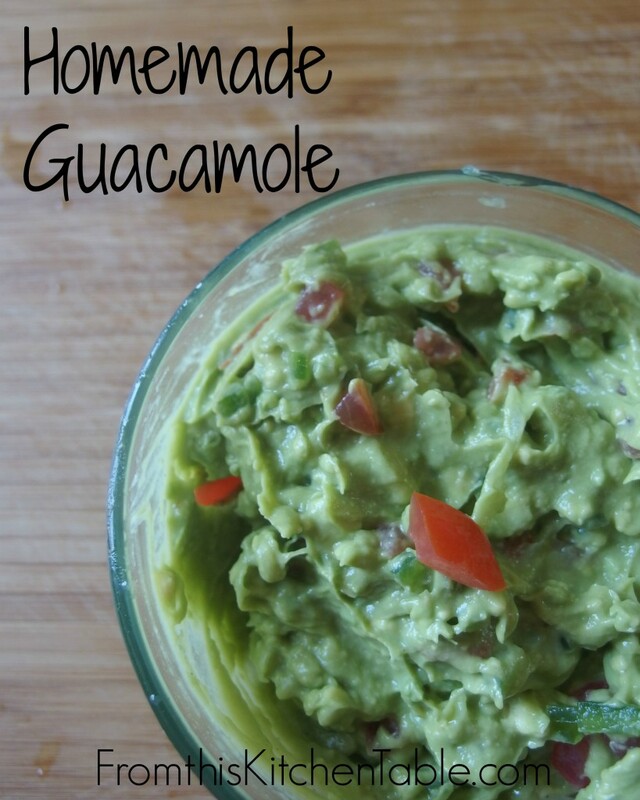 We love avocados (and guacamole) around here too! I have to try and buy extra and put some aside. Thanks for hosting each week. 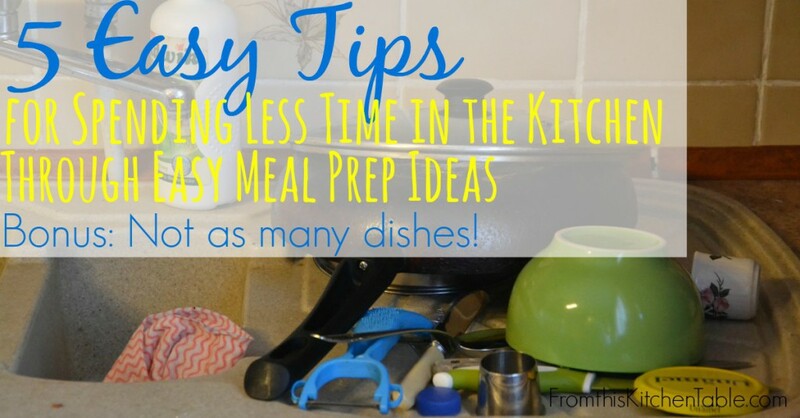 Welcome to From this Kitchen Table where we help moms conquer homemaking well on a budget.